BEIJING, Sept. 7--Chinese President Xi Jinping on Friday held talks with Prince Albert II, head of the state of the Principality of Monaco, pledging to further promote bilateral friendly ties with the European country to bear new fruits. 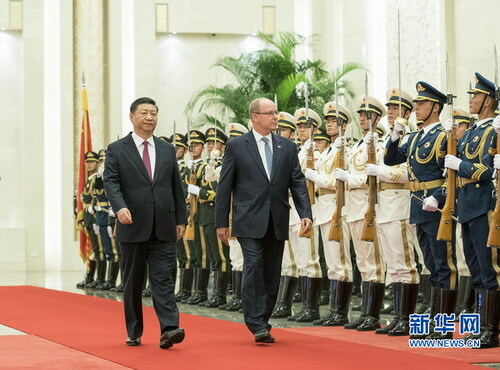 Hailing Prince Albert II and the Monaco royal family for their commitment to developing relations with China, Xi said Monaco has followed a development path with its own features. Though far away from each other, China and Monaco have set a model of friendship and common development between big and small countries as the two countries respect each other and treat each other on an equal footing, said Xi. "China has always said that no matter big or small, rich or poor, strong or weak, all countries are equal members of the international community," said Xi, adding that it is something inherent in the building of a new type of international relations. 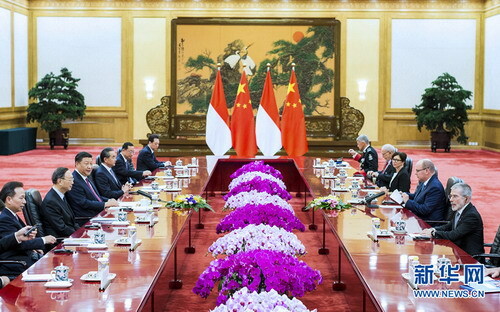 He called on both countries to maintain close exchanges, discuss cooperation in areas of environmental protection, climate change, clean energy, low carbon and wild animal protection under the Belt and Road Initiative and further promote cultural and people-to-people exchanges. Prince Albert II is a member of the International Olympic Committee (IOC) and supported China in hosting the 2008 Beijing Summer Olympics, said Xi. "We welcome you to Beijing for the 2022 Winter Olympics," he told Prince Albert II. Congratulating China on the just-ended successful Beijing Summit of the Forum on China-Africa Cooperation (FOCAC), Prince Albert II said he was touched as Xi invited him for a state visit despite his very busy schedule. He told Xi this was his tenth visit to China and each trip he sees new achievements in the social, economic and cultural areas in China. Prior to his arrival in Beijing, Prince Albert II went to northeast China's Jilin Province to visit bee-keeping and Siberian tigers protection projects and was "impressed by China's achievements in environmental protection." 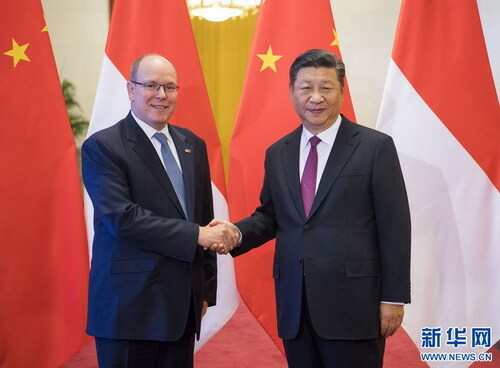 While hailing bilateral ties and China's role in international affairs, especially Xi's outstanding contribution to global governance and the fight against climate change, Prince Albert II said Monaco is willing to enhance win-win cooperation with China. He said he supports and wishes the 2022 Beijing Winter Olympics a success. Xi briefed him about the FOCAC Beijing Summit and said China stands ready to work with countries including Monaco to support lasting peace and sustainable development in Africa. 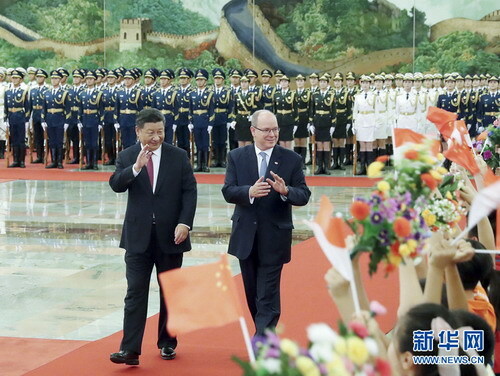 Before the talks, Xi held a welcoming ceremony for Prince Albert II at the Great Hall of the People. Prince Albert II is paying a state visit to China from Sept. 5 to 8 at the invitation of Xi.